Facebook is an application for the iPod Touch and iPhone device that has been released for a number of years now but continues to see new features added to it. Facebook is used by millions of people all around the world on their iPod Touch devices and it is known as one of the best social networking applications out there. The great thing about Facebook is that it is so well designed. When you launch the app on the iPod Touch, you will be presented with your news feed which looks virtually identical to the way that it does on your computer. This means you will be able to pick up the app instantly. As well as this, the Facebook app has all of the other features that you will know and love including chat, groups, pages, and much more. One of the cool things about the app is that you can actually check in too if you have a 3G iPhone or a Wi-Fi connection. Of course, you will need Wi-Fi if you have an iPod Touch to use the app at all. The menu system within the Facebook iPod Touch app is really easy to understand and the app is very responsive. The app has also recently been given the ability to use Timeline which makes things a lot easier when it comes to viewing profiles. 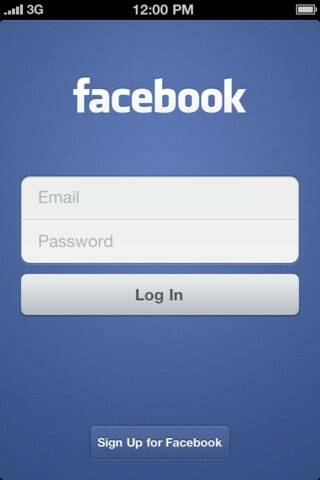 The Facebook app is fast, free from bugs and overall the best way for you to use Facebook on your iPod Touch.